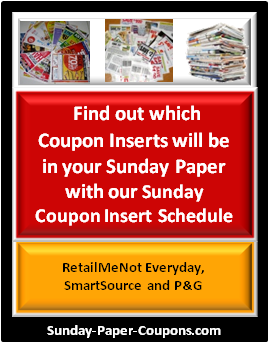 The Sunday Paper Coupons Blog will inform you about free coupons available, just released coupons, coupons available by category, free-after-coupon deals, free after rebate deals, free in-store offers, restaurant coupons, free rewards points and programs, high value coupons, retail discount coupon offers and more! I will also notify you about when I post the Weekly Sunday Coupon Preview, as well as new site pages, announcements and reminders! 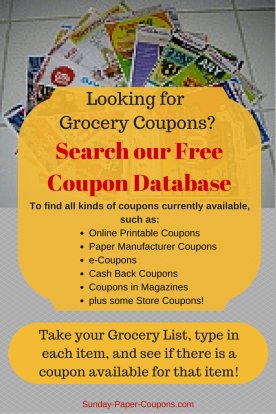 Get All of Your Free Coupons Here Everyday! Use the Promo Code: EARTHDAY19 with all of these companies/Cities. Continue reading "Free ASPCA Pet Safety Pack"
DiscountedNewspapers.com offers discounted newspapers, including delivery at discounted rates. Simply enter your Zip Code to see the rates for your area/region. If their rates are less than what you're currently paying, then you should switch! At the link below, I tell you of other ways to save on your Newspapers as well. Continue reading "Get Your Newspapers at a Discount"
Ebay's daily deals offer deep discounts on top brands, with free shipping! Continue reading "Check out Ebay's Daily Deals for Deep Discounts"
Look to their site and/or Social Media pages if you want any further details. Continue reading "Free Pretzel at Philly Pretzel Factory on April 26"
No Purchase Necessary. Wetzel’s National Pretzel Day Offer (the “Offer”) begins at the opening of Wetzel’s Pretzels store operating hours and ends at the close of Wetzel’s Pretzels store operating hours on April 26, 2019 or while supplies last, whichever is sooner (the “Offer Period”). Offer is valid at participating locations only. Excludes all theme parks, airports, arena, food trucks and delivery. Offer open only to legal residents of the United States and the District of Columbia, 13 years of age or older. Eligible minors must obtain their parents or legal guardian’s consent prior to participating. Visit any Wetzel’s Pretzels location in the U.S. or D.C. during the Offer Period In order to receive one (1) Wetzel’s Pretzel while supplies last. No purchase is necessary and offer is only good while supplies last. Not combinable with any other offer and cannot be redeemed for cash. Not transferable. Void where prohibited by law. Limit one (1) Offer request per person throughout the entire Offer Period. Offer recipients are responsible for all federal, state and local taxes, if any. Continue reading "Free Pretzel at Wetzel’s Pretzels on April 26th"
Continue reading "Free Member's Mark Fruity Snacks and Tide Pods Samples available at Sam's Clubs with Freeosk"
Available at select Walmart Stores from 4/19 - 4/25. See details at the attached link. Continue reading "Free Sample of Ricola Cough Drops at Walmart Freeosks"
Continue reading "Free Nguyen Coffee Supply Coffee Sample & Stickers"
Many places offer free workshops and in-store events on most weekends (and some weekdays). Click on their links to see if they're holding a free event that you wish to attend and/or take your child(ren) to. In addition to the "everyday in April" offer, apparently, they are also offering a coupon for a Free Large Fountain Drink and 28 oz. Gatorade at Pilot Flying J Travel Centers. The fountain drink is valid Friday only, and the Gatorade ends on Saturday. Continue reading "Get a Free Drink Everyday in April at Pilot Flying J w/their Mobile App"
Continue reading "Free Subscription to Men's Health Magazine"
Valid at their website and within their app or possibly at the kiosk. This code makes a DVD rental .25 cents, a blu-ray rental .50 cents, and a game rental $1.50. Continue reading "$1.50 Off Movie or Video Game Rental at Redbox Today Only 4/18/19"
Your free cards will have the company "4OVER4" logo on the backside. Click "Design for FREE now," then select "FREE Business Cards" and create your cards. At checkout, share the promo on your Facebook and Twitter account to make the shipping free and your order will total $0.00. No payment information is needed. Continue reading "200 Free Custom Business Cards (See Details)"
Upload your photo, then add an 8x10 to your cart. Use the code: 8X10APRIL at checkout and select free in-store pickup. Continue reading "Free 8x10 Photo Print at Walgreens"
Continue reading "Free Saba Liners or Pads Sample"
Continue reading "Free Subscription to Diabetes Self-Management Magazine"
Download the app, then play the Pokemon game on the top right. Play the second round (you will have to find the clues on 3 levels), then click the "share" button. It may not get added to the app immediately. They will offer additional rewards in future rounds. Continue reading "4 Free Mini Tacos at 7-Eleven (w/app)"
While supplies last, at participating locations. Limit one per person. They will also give you a coupon to use on an additional purchase. Continue reading "Free Chocolate Bar at JCPenney from April 18th - 20th"
Load the coupon to your Giant Eagle card. 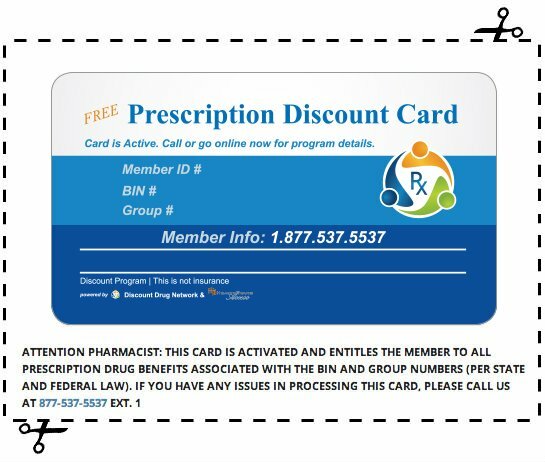 Coupon expires on 4/24/19. Get item in-store, then scan your card at the checkout counter to get the discount. Continue reading "Free 4oz Pouch of Idahoan Instant Mashed Potatoes at Giant Eagle Stores"
Tuesday, May 14 from 4-8pm at a participating shop near you. Continue reading "Free Ice Cream Cone at Häagen-Dazs on Tuesday, 5/14/19"
Sign up for the Kellogg's Family Rewards and receive the latest and greatest benefits from Kellogg, like exclusive savings, great-tasting recipes, and special offers and promotions. Continue reading "100 Free Kellogg's Family Rewards Points"
Complete the form. They will send you an email that you will need to confirm. Continue reading "Free TeMana Noni Skincare Sample"
Continue reading "Free HydroMassage Session from April 11th to 20th"
Every Tuesday, T-Mobile is now offering free stuff (like food and movie rentals). Continue reading "Get Free Stuff w/T-Mobile Tuesdays (Today) for T-Mobile Customers"
Just say "Bloomin' Monday" to your server today. Continue reading "Free Bloomin' Onion at Outback Steakhouse Today"
For Tax Day, they are giving away a free Kona Ice to help people chill out. Continue reading "Free Kona Ice Shaved Ice at Kona Ice on 4/15/19"